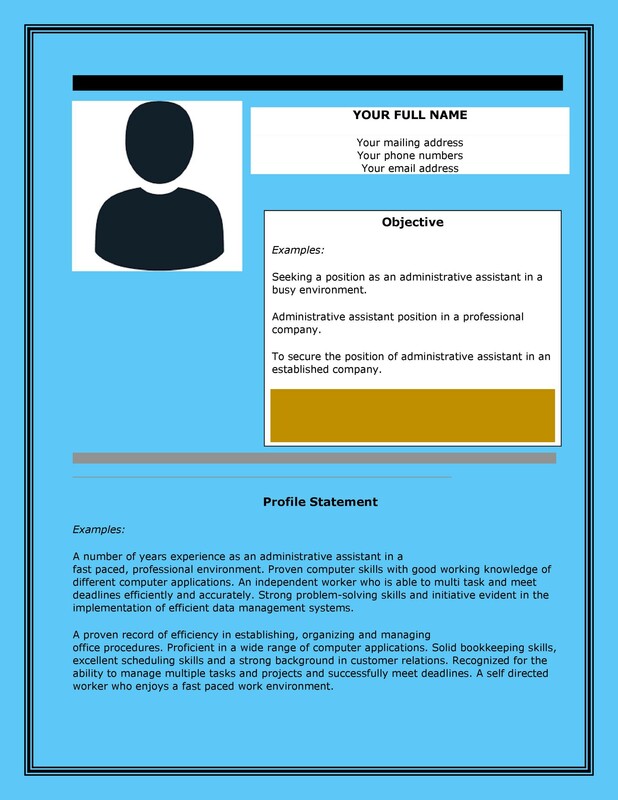 An Administrative assistant role is very important for organizations to ensure all administrative work is carried out professionally and efficiently. Those who do not mind working multiple hours in front of a computer and monitor will be pleased to work as administrative assistants, who will be tasked with overseeing all clerical and organizational support activities to further the goals of the enterprise. Administrative assistants are employed in almost every kind of large and established companies in which the administration function is too large to manage. Being an administrative assistant, your main priority is to ensure the operations of all activities and procedures are being adhered to in the best way possible. Working as an administrative assistant can help you earn a good amount of money and is considered a strong career path for anyone who has a passion of working with multiple files and secretarial work. However, in order to do the job of an administrative assistant, it is crucial that you develop the right resume for administrative assistant role so that you can outline the right skills and experience which will be helpful for convincing HR managers of your suitability. As with various other job roles, the role of the administrative assistant varies according to experience and hierarchy within the organization. 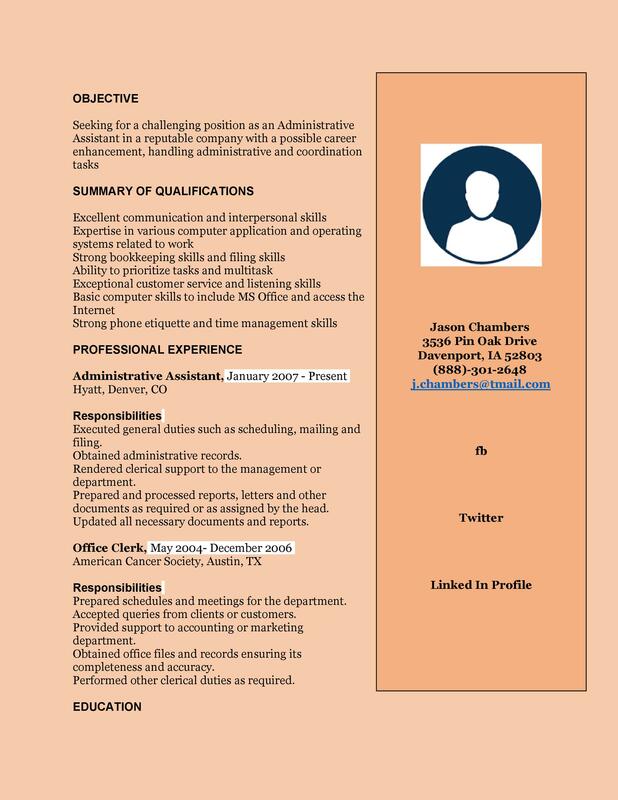 There are entry-level administrative assistants and administrative assistants who have multiple years of experience, in which case they may be promoted to acquire the role of senior administrative assistants. There are no minimum years of experience for someone to be promoted from a junior role to a senior one. Hence, it is important to consider the needs and expectations of each individual enterprise before submitting the resume for administrative assistant. The duties and responsibilities of an administrative assistant will depend on the role and designation one is assigned with. 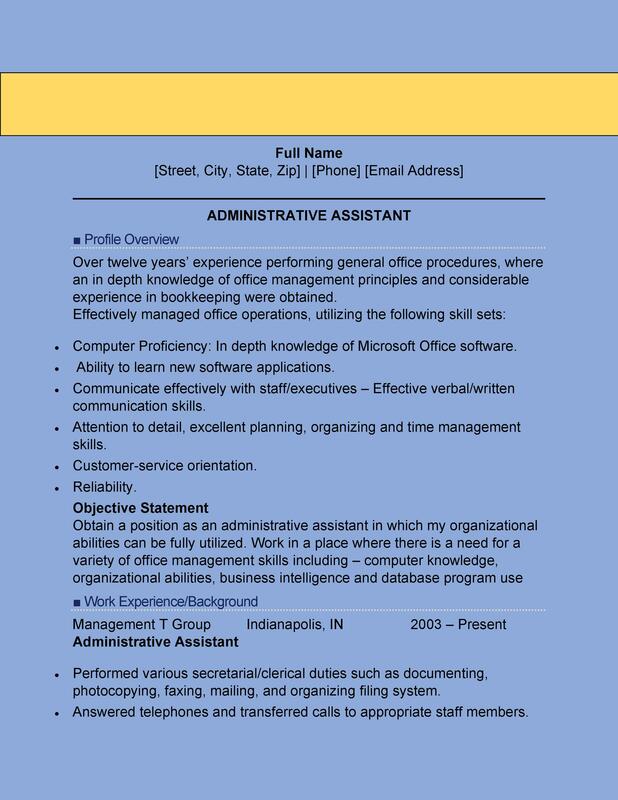 An administrative assistant may be tasked with performing common secretarial work, which may include performing many internet searches and use a significant amount of work on enterprise tools, such as spreadsheet, presentation, and word processing software. Spreadsheets programs may be employed to keep lists of expenditures of all enterprise departments and ensure whether it is within the master budget of the company to keep a record of efficient purchasing and productivity. Word processing software, on the other hand, is essential for record keeping and ensuring all company files and folders are kept in a digital format and stored for data security and backup purposes. They are also expected to use a lot of computer hardware such as printers, photocopiers, and fax machines. 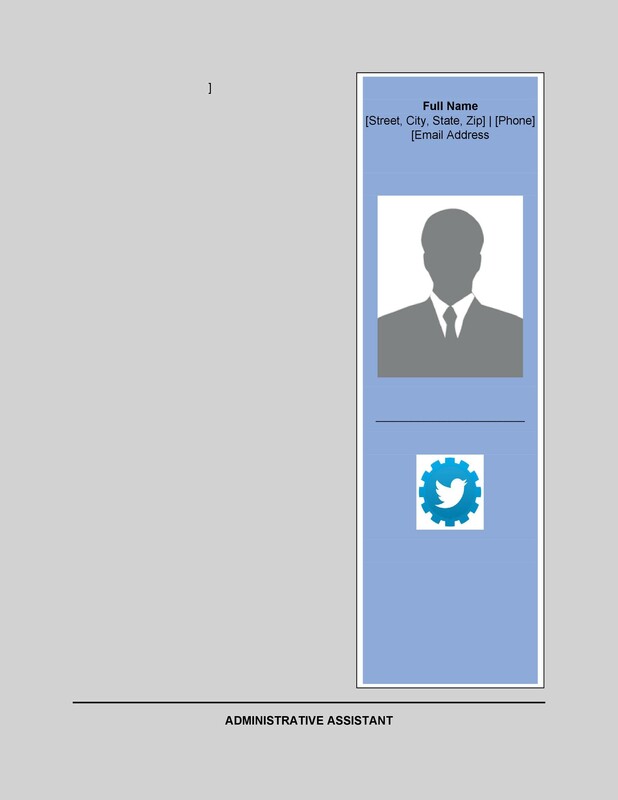 They may further be tasked with ensuring good communication with other department heads and staff through telephone and keeping efficient use of data filing and entry, as well as liaise with other executive and administrative assistants, especially if they are in a large corporation, to support all administrative areas. The job of an administrative assistant is similar to that of a receptionist or an office secretary, which is why they may be required to receive and direct visitors to meetings and possess extensive skills in internet-based research and record keeping. 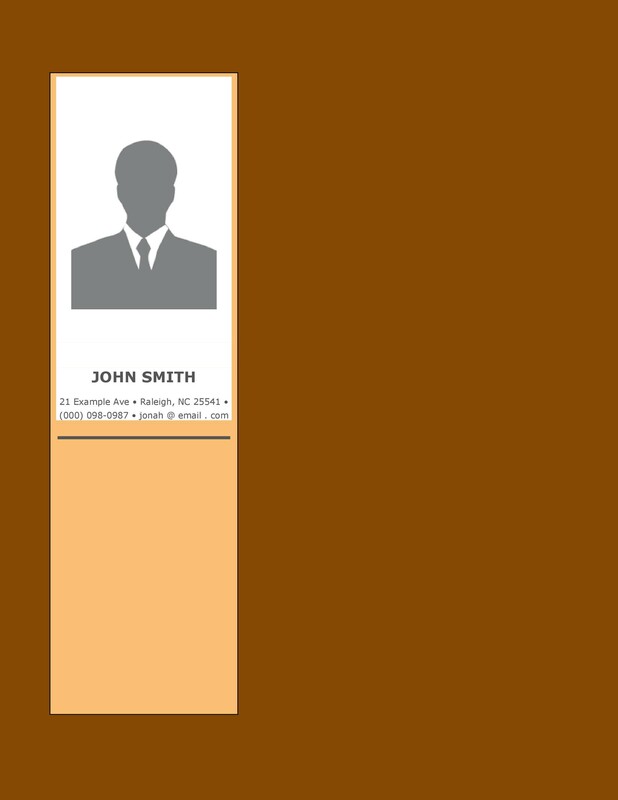 Moreover, creating and updating company databases and records for employees, customers, suppliers, and other groups may be in the job description. If the role requires extensive work experience, the responsibilities may involve supervising junior administrative assistants and training others to use common IT tools and programs. 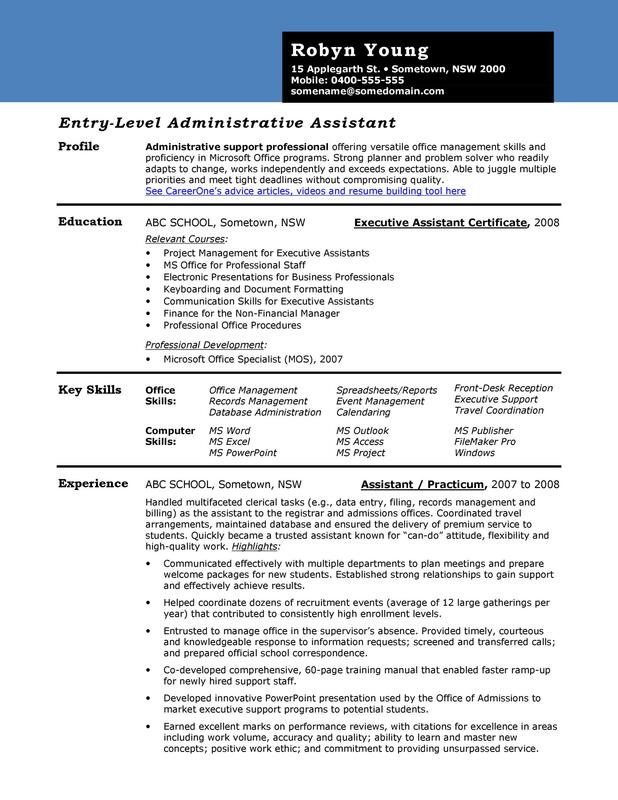 The education requirements for administrative assistant position vary considerably. 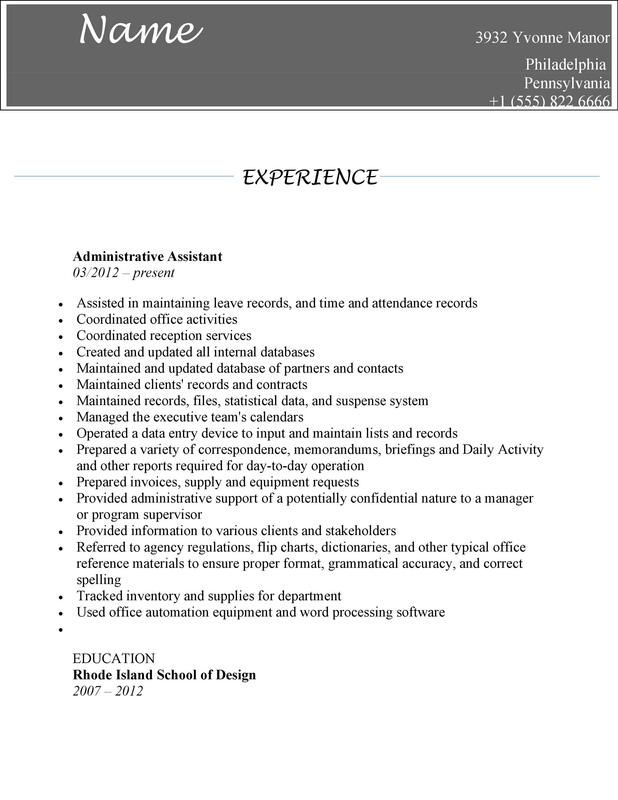 On one hand, a high school diploma is sufficient for someone to qualify as an administrative assistant. In other cases, an undergraduate or postsecondary program is mandatory in order to get a job. There are also many secretarial training programs available at various colleges, institutes, and schools through which a person may become eligible for the position. The qualifications of the position largely depend on what sector you wish to apply for. Administrative assistants are employed in a wide range of industries and sectors, from school and colleges to hospitals and multinational corporations and law organizations. In the case of companies operating in healthcare and law sector, specialized programs and degrees are often the requirement. 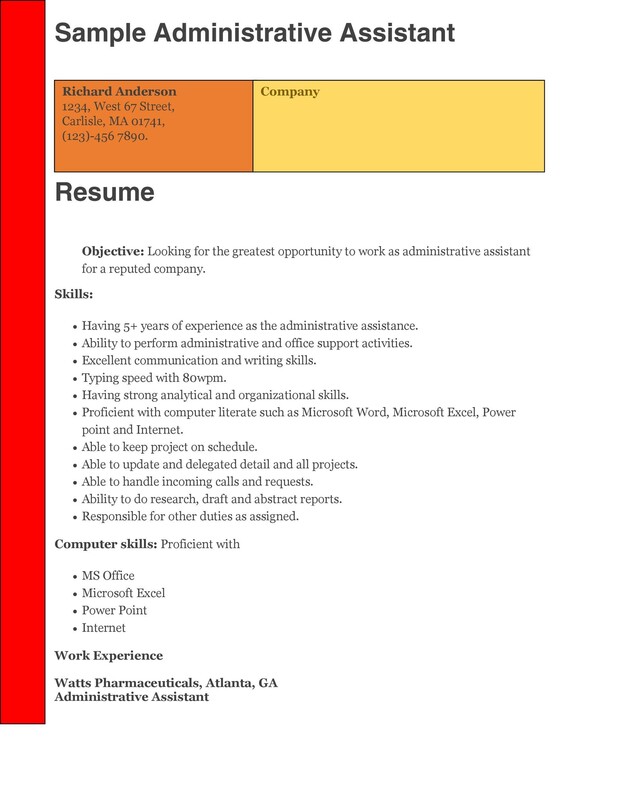 As for skills, one needs to have a broad range of skills for an administrative assistant. Some of the most basics include being comfortable with common Microsoft Office tools, such as Word, Excel, and PowerPoint, and having a proficiency in communication, especially written and spoken English. Other essential skills include having great attention to detail, organization, time management, and teamwork. 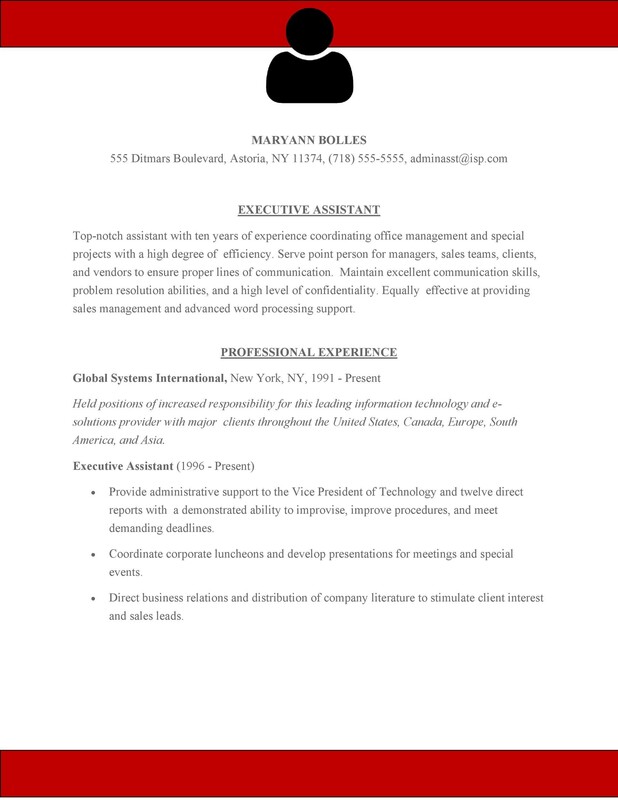 An administrative assistant resume is necessary for showing your credibility and suitability for the position and a means through which an HR manager can sift through your qualifications, experience, and skill set. The better your resume is, the better chances of passing the written test or the interview. 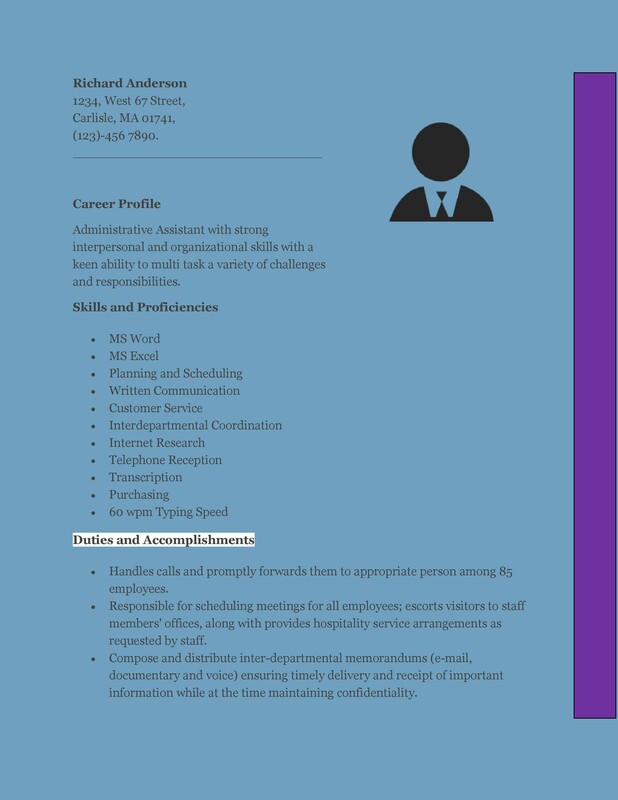 It is essential to note that whatever information is provided in the resume will become the basis of many of the questions asked by the HR manager or staff member during the interview. If you mention you have particular skills, you will be asked for its explanation, areas in which you demonstrated those skills, and what challenges you had to go through in order to acquire those skills. If you mention qualifications, you may be asked about the duration of the course, what terminologies and concepts you learned and how those are useful in the administrative assistant position. 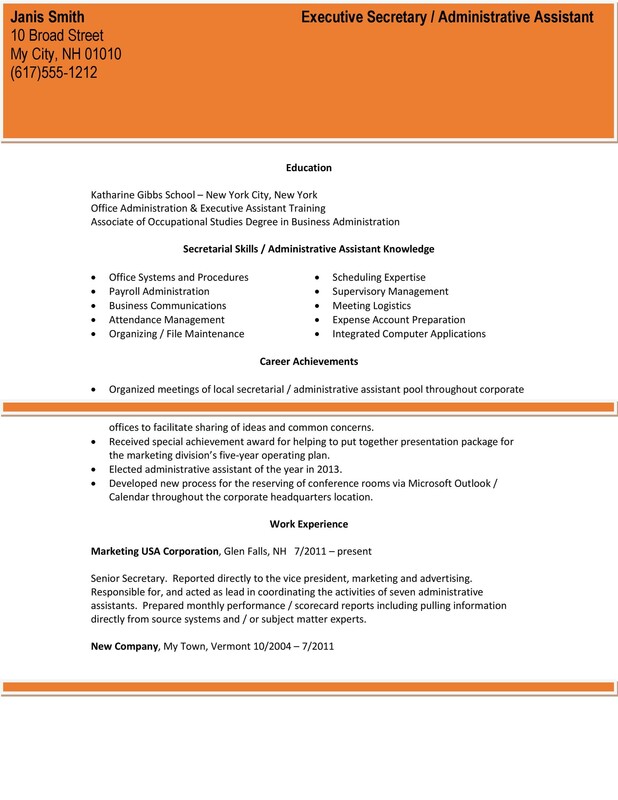 More importantly, an administrative assistant resume will be the key to demonstrating your potential for success and how much you can be of benefit to the enterprise or organization. 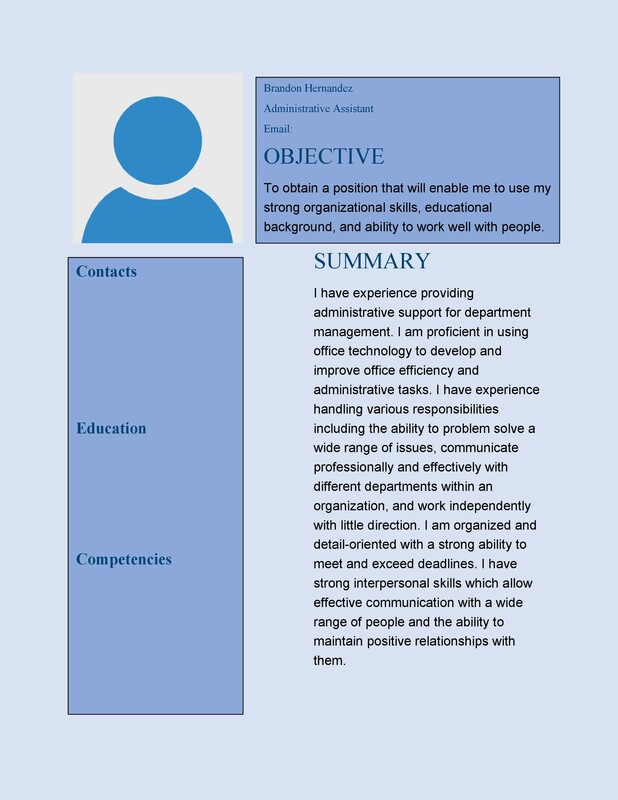 The main objective of an administrative assistant resume is to provide a positive impression of the candidate and increase the chances of him or her getting hired by the employer. In addition to the resume, you can provide a much more favorable impression of your skills, experience, and qualifications through a written objective statement that can serve as an effective way of introducing the rest of your resume. It is important to note that most HR managers or staff members can get anywhere between dozens and hundreds of resumes, depending on how actively they are pursuing hiring. For this reason, it is crucial that your resume stands out from the rest to heighten your chances of getting hired. 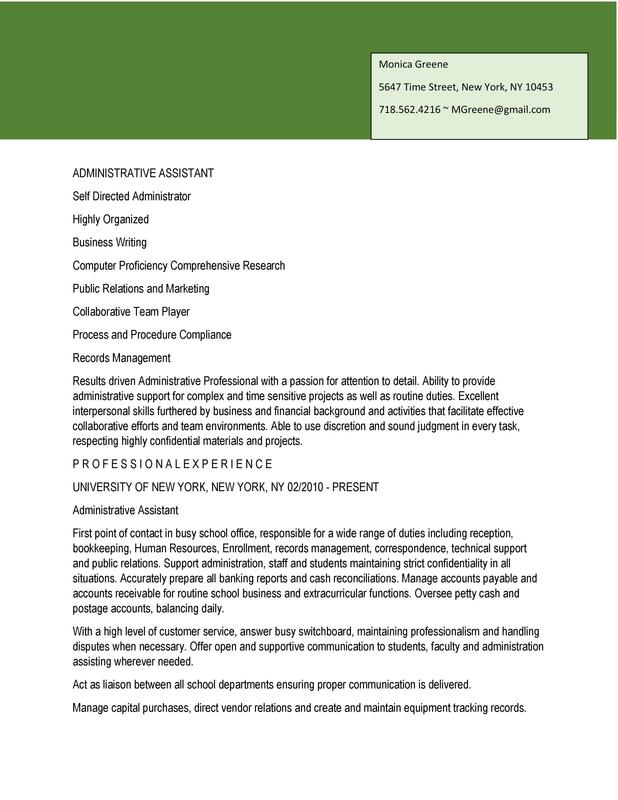 The following are key areas from administrative assistant resume samples that you need to include in your resume. The objective statement or summary should be clear and compelling to pique their interest and should be the first heading in your resume. The statement should indicate from the onset what your career aspirations and skills are and the ways through which you can be an asset to the organization. 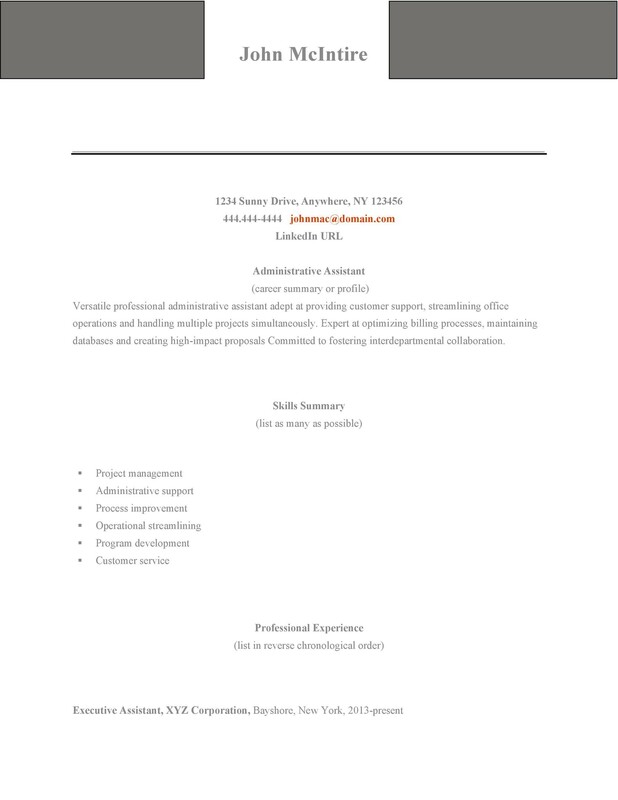 This will be a very useful way of highlighting your importance and introducing other areas of your resume. The skills you mention should relate specifically to the requirements of the position for the particular firm you apply. This is why it is important to tweak your resume to meet the needs and expectations of a particular enterprise. If you create a generic one for convenience and submit it for every kind of administrative assistant position, it is likely that you will not be seen as relevant for the job. For this reason, you need to make sure the skills you mention are relevant to the role required by the company. For instance, if they require someone who can work easily as part of a team, you should mention and give evidence of teamwork skills that you have obtained in previous positions. However, briefly stating your skills as bullet points will be sufficient; you should only explain in detail if asked in the interview. Qualifications and educational background are of paramount importance, especially if you are applying at a reputable company or organization. This will be crucial for distinguishing your credentials from that of others. If you have an undergraduate degree, you need to briefly state the duration of the course, what institute or university you acquired the education from, and what important concepts you learned during your study. Moreover, highlighting additional courses are important as it can translate into experience and skills. Speaking of experience, your work history should be form a major part of your resume. It should include a brief outline of your position, role and responsibilities, and important achievements. The work experience should also correspond to the specific skill-set acquired and relevant for the administrative assistant position. This section is not part of the crux of your resume. However, including it is still important to provide an edge. Additional skills can include the number of language you speak. If you know more than one language, you should state the written and verbal proficiency level. 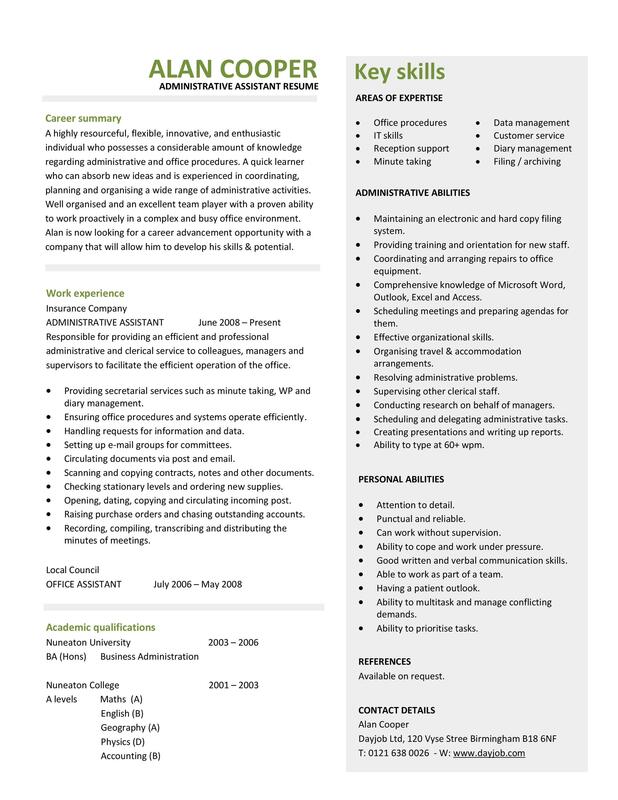 Furthermore, if you have expertise in Excel, Access, or other software skills, this can go in the section. We have already mentioned how the administrative assistant positions are employed in a variety of sectors, such as schools, medical facilities, and law companies. For this reason, it is necessary that you ensure your resume is specific to the industry or sector you want to apply for to increase your relevancy and suitability. For instance, if you are applying at a hospital, you should mention how your record keeping and database management skills can enable you to do your job effectively. When the HR manager will notice that your resume is highly geared to their company or industry, they will have a much better impression of you. 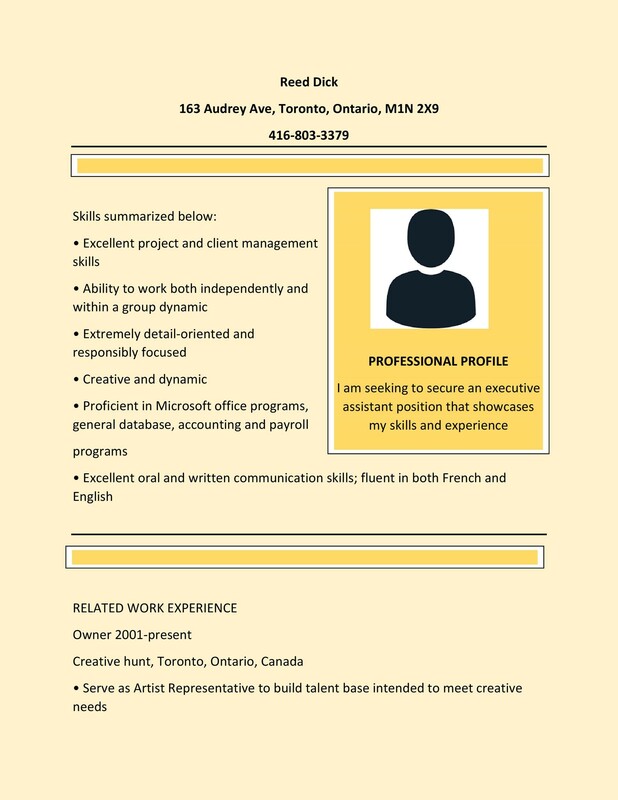 You cannot hope to get impress your prospective employers if your resume is written in a language that is not easy to comprehend and make sense of your qualifications and skills. This also includes using words or phrases that either have double meanings or cannot be interpreted in a clear and concise way. Worst of all, spelling and formatting should be checked thoroughly. After all, your employers will look at your written resume to judge how well your English writing is. 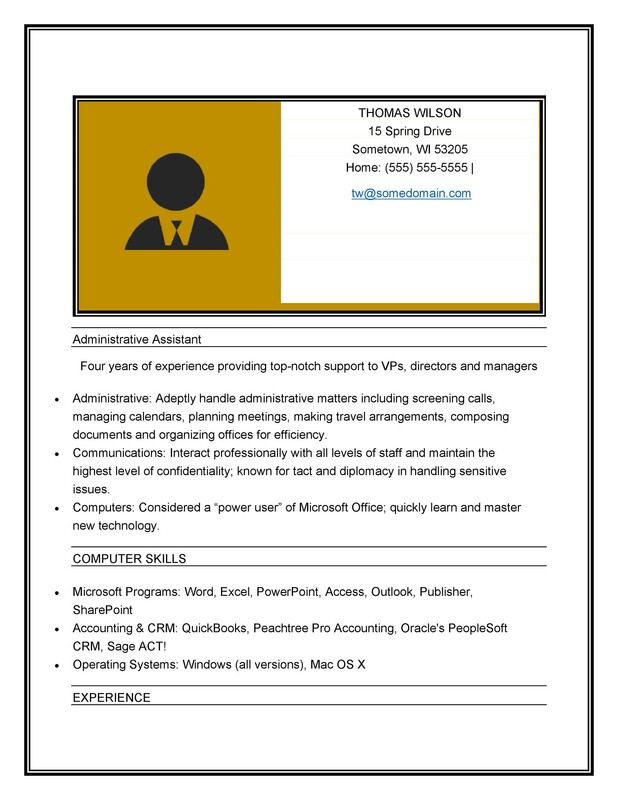 The least you can do is ensure your resume is free from grammatical and spelling errors. 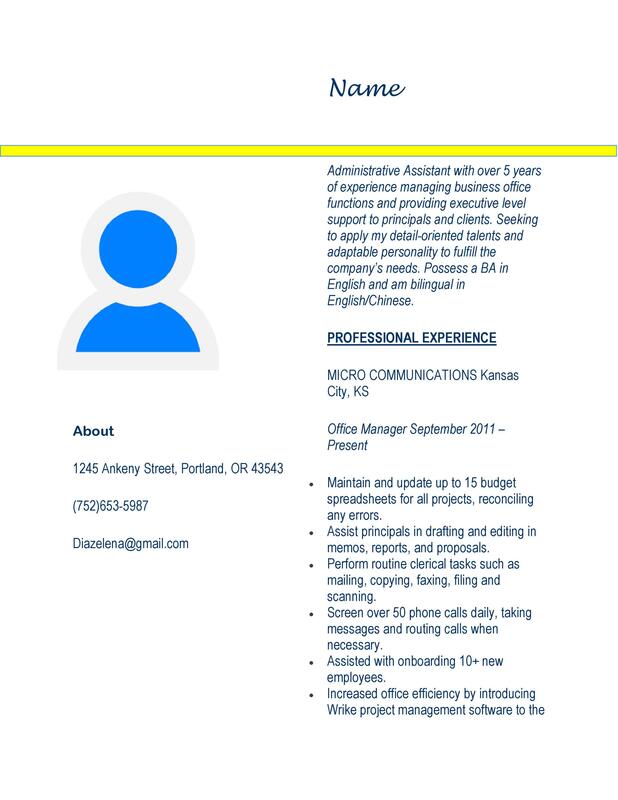 Be sure to run spelling and grammar check on Word a few times and have your resume proofread by others. Remember that in workplace environments, any type of business efficiency is measured by numbers and not words. Hence, whatever accomplishments you have made in your career, make sure that you quantify it to make a better impression. Instead of saying ‘I significantly improved my team productivity’, mention ‘raised team productivity levels by 30 percent’ or ‘database management led to sales rise by 10 percent in a quarter’. More importantly, do not just make up numbers, since you will be questioned how you arrived at the figures in the interview. 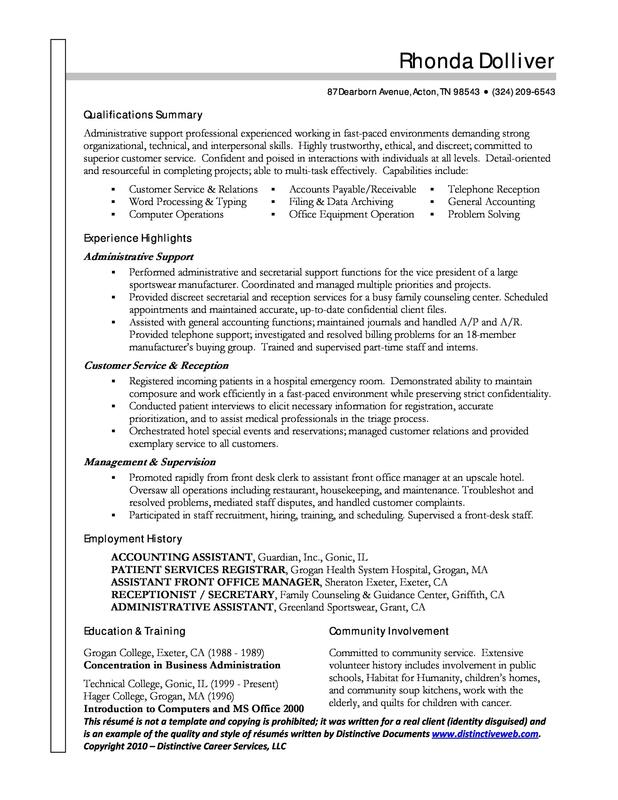 You should make sure that you resume is not longer than 3 pages regardless of how many years of experience you have. 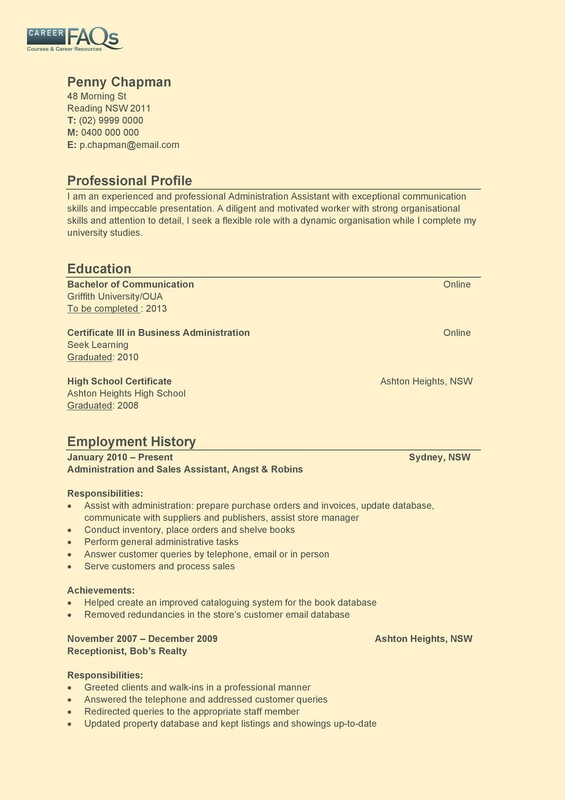 On the other hand, if you have limited or not work experience, keep your resume up to a page. The more pages you add, the more it becomes with unnecessary details and the difficult it becomes for HR managers to remain attentive to your credentials. 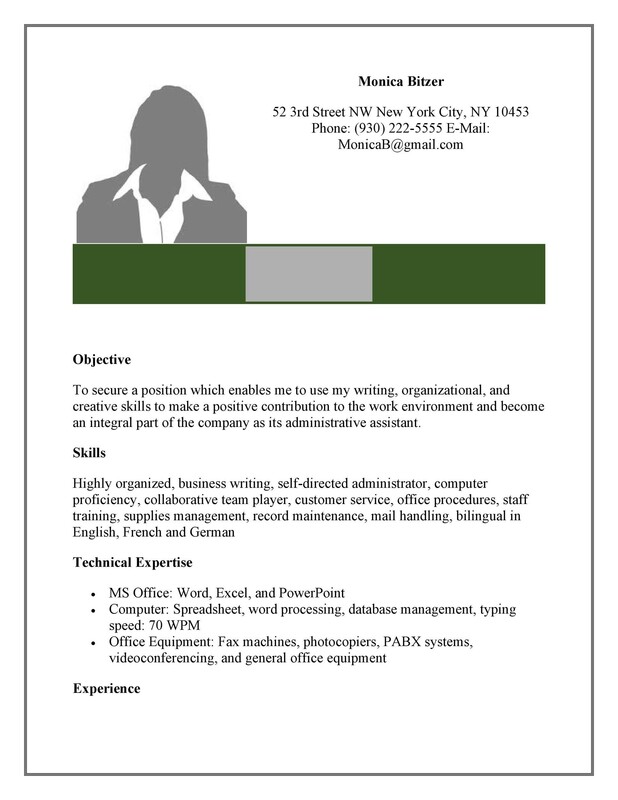 Bullet points can be a very effective means of improving readability and structure of your resume. Doing so can make it much more likely for your resume to be noticed by HR managers in relation to that of others. The right choice of words can make all the difference to your personality and your approach to work. When showcasing your accomplishments or duties, you should never use passive words, but active and action words. Instead of saying ‘duties included handling all department files and folders’, you can say ‘Managed all department files and folders’ or ‘handled all aspects of record keeping and data file entry including all department files and folders. In short, eliminate passive words and sentences from your resume and replace them with active ones.